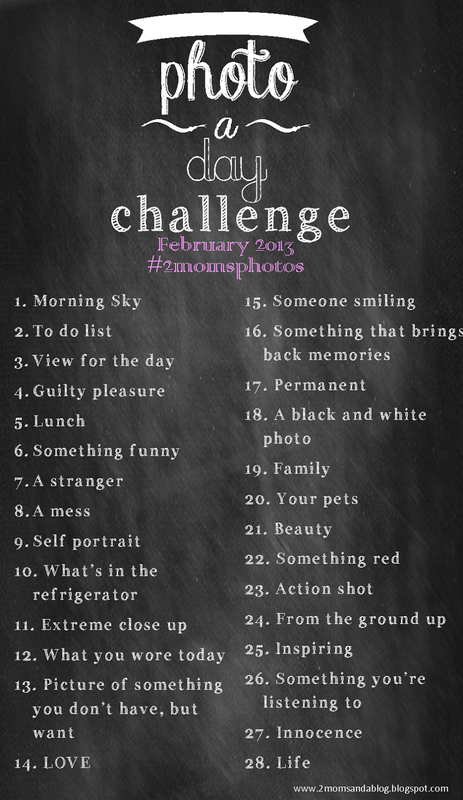 You may have seen this photo challenge floating around Pinterest! I wanted to come up with one that would challenge my creative side and also be fun. Get creative. Take a challenge and put your own spin on it. Do something out of the ordinary. So enjoy! 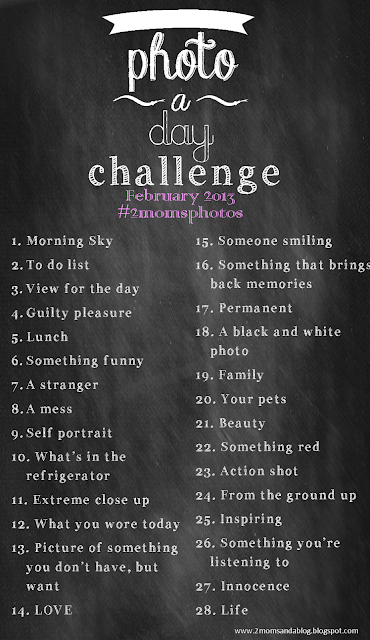 I do hope you take part in this, and feel free to comment with a link back to your photos from February 2013. 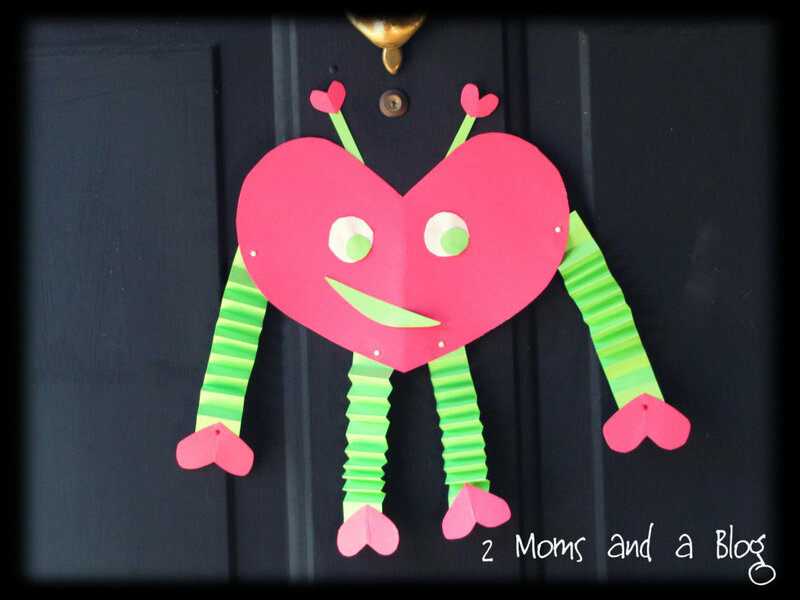 This cute little Pinterest inspiration came just in time for Valentine's Day! My son loves robots and when we started to make small variations of these he thought they were super cool. He tried to play with the robots but the paper I had used in the beginning was too flimsy and the tape I used just pulled pieces apart. So I had to improvise making a new one with heavy card stock and brad pins. Then I cut out 4 smaller hearts for the hands and feet, the 2 more small hearts for the top of the antennas. 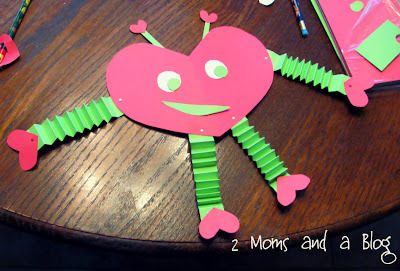 Next you want to trace and cut out 4 strips on another piece of card stock for the arms and legs of the robot. Then two more smaller ones for the robots antennas. 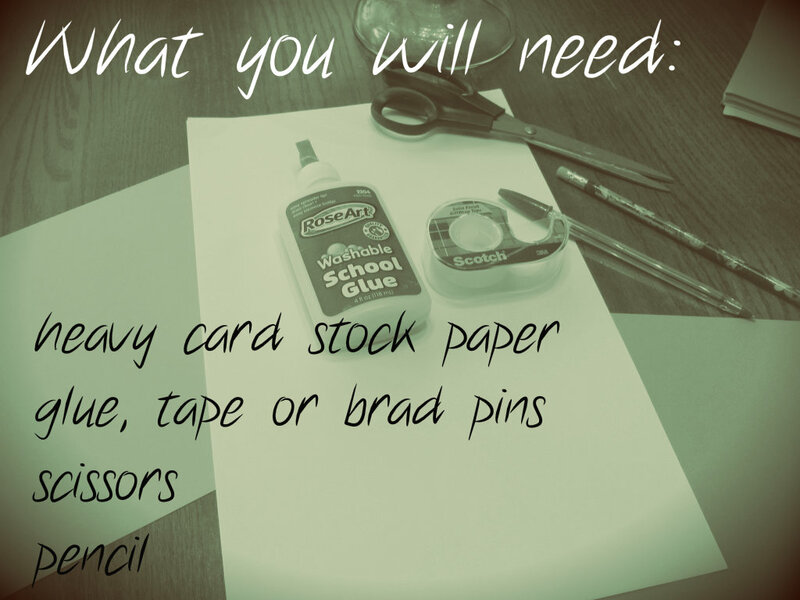 Now comes a time to choose if you are going to want to use tape, glue or brad pins. The reason I used brad pins to secure the arms and legs to the robot is to make them moveable. However if you have really small children who will be handling the robot, or are if-y about using small pins stick to tape or glue! Here is what brad pins look like. By the way... have I mentioned brad pins enough in this post yet? I poked a hole in the robot in 4 spots where I will attach the arms and legs. Then I cut the arm and leg strips to make a spot for the pins to go through. Next I attached everything. I put a piece of tape over the back of the pin, just to ensure it was secure and to make sure my little guy wouldn't poke his finger. I used more brad pins to attach the hands and feet. The antennas and hearts on top were attached with glue and tape. Here is when you can get creative. You can let your kiddos draw on the face. I cut out eyes and a mouth from paper as my son was too busy snacking on pretzels and didn't feel like drawing at the moment. And voila! A cute Valentine Heart Robot! My little guy played with this for about 30 minutes until he decided he wanted it on the front door. This is such a cute little project to do with the kids. They can make miniature ones to give out as Valentines or keep for themselves.